316 pages | 16 B/W Illus. This edited collection contends that if women are to enter into leadership positions at equal levels with their male colleagues, then sexism in all its forms must be acknowledged, attended to, and actively addressed. 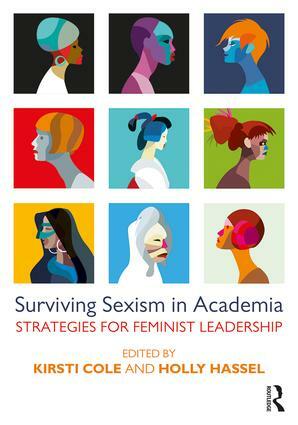 This interdisciplinary collection—Surviving Sexism in Academia: Strategies for Feminist Leadership—is part storytelling, part autoethnography, part action plan. The chapters document and analyze everyday sexism in the academy and offer up strategies for survival, ultimately 'lifting the veil" from the good old boys/business-as-usual culture that continues to pervade academia in both visible and less-visible forms, forms that can stifle even the most ambitious women in their careers. Preface: ""I’m Afraid This Will Hurt Me": Addressing Sexism in Higher Education"
Kirsti Cole is an Associate Professor of Rhetoric, Composition, and Literature at Minnesota State University. She is the faculty chair of the Teaching Writing Graduate Certificate and Masters of Communication and Composition programs. She has published articles in Feminist Media Studies, College English, Harlot, and thirdspace, and her collection Feminist Challenges or Feminist Rhetorics? was published in 2014. Her work ranges the intersections of writing studies, social media, and gendered rhetorics. Holly Hassel is a Professor of English and Gender, Sexuality and Women's Studies at the University of Wisconsin-Marathon County. She has co-authored the introductory women's and gender studies textbook Threshold Concepts in Women's and Gender Studies with Christie Launius. She is currently editor of the journal Teaching English in the Two-Year College.